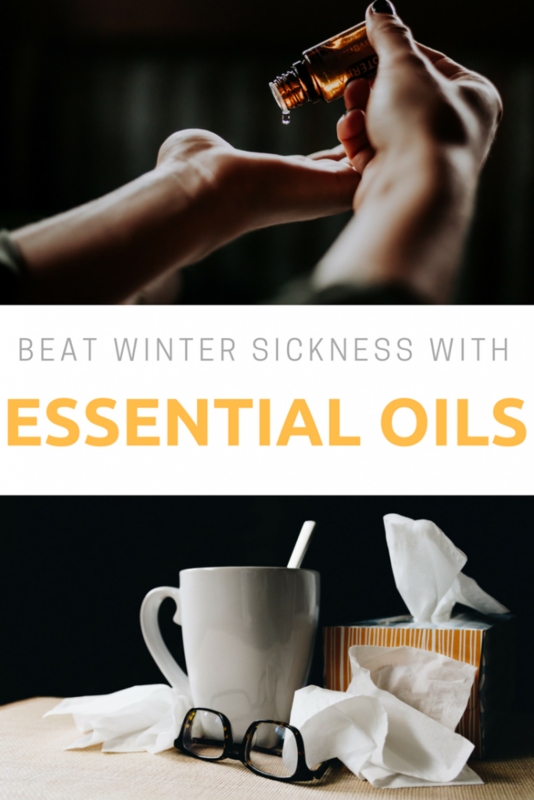 Beat winter sickness with essential oils! 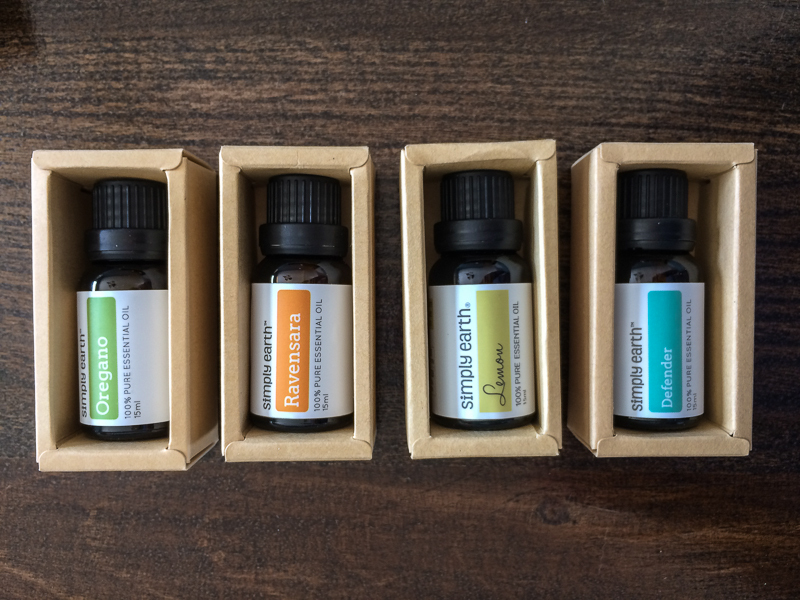 The Essential Oil Recipe Box from Simply Earth is a monthly subscription box featuring four full size oils plus everything you need to make 5-7 essential oil recipes. 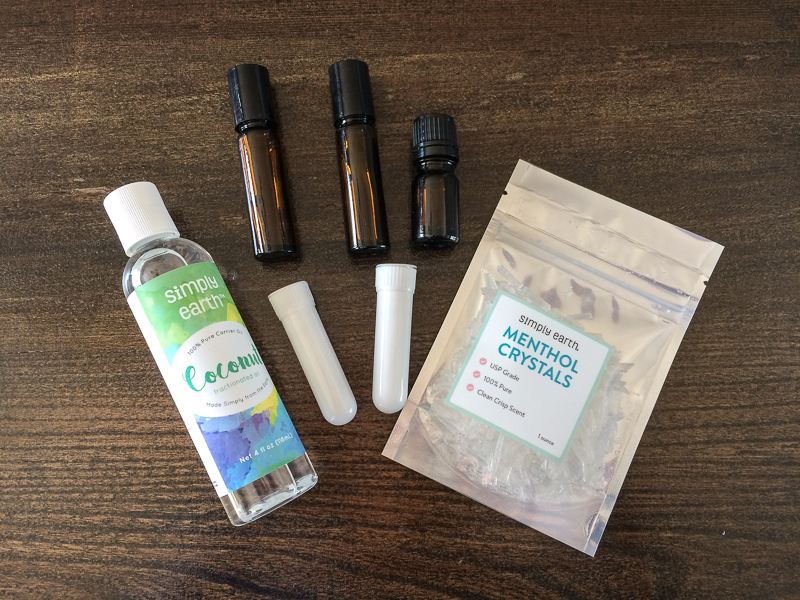 Get your Essential Oil Recipe Box discount code at the bottom of this post! It has been a crazy flu season, hasn’t it? We’ve been lucky enough to both stay healthy this winter (yes, I’m knocking on every piece of wood I can find right now) and we definitely credit a combination of eating right, taking probiotic and Vitamin C supplements, and essential oils. We use the Defender essential oil blend from Simply Earth all winter long. Some days we diffuse it and others we apply it to ourselves with a roller. Defender is a blend of clove, ginger, grapefruit, and tea tree essential oils, so it’s an antiseptic, disinfectant, bactericidal, fungicidal, immunostimulant, lymphatic stimulant, and expectorant all in one. Of course, there is still plenty of winter left and with a few flights on the horizon, we know our chances of getting sick are still very real. Enter the February Essential Oil Recipe Box from Simply Earth. This subscription box comes with a full size Defender oil plus Ravensara, Lemon and Basil (all full-size) too! These four oils can boost your immunity and help you feel better if you find yourself sick. The February Essential Oil Box comes with everything you need to make six different essential oil recipes. Some recipes are designed to help you avoid getting sick and others are to use if you do get sick. My favorites this month are the Shower Disk Pick Me Up and Sore Muscle Roll on. 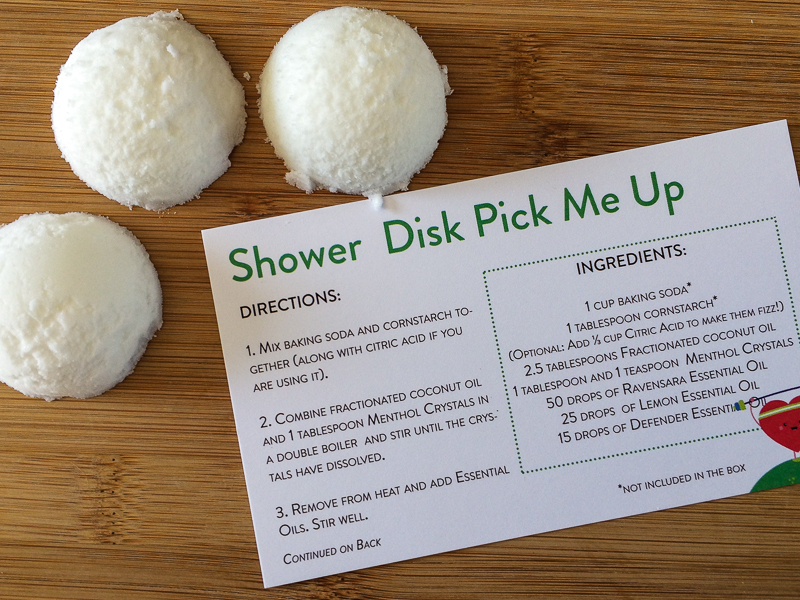 The Shower Disk Pick Me Up is made with menthol and a blend of Defender, Lemon and Ravensara oils. You put the little disk near the drain when you shower and it’s aroma is released through the steam. Bring the spa home! Not familiar with Ravensara essential oil? 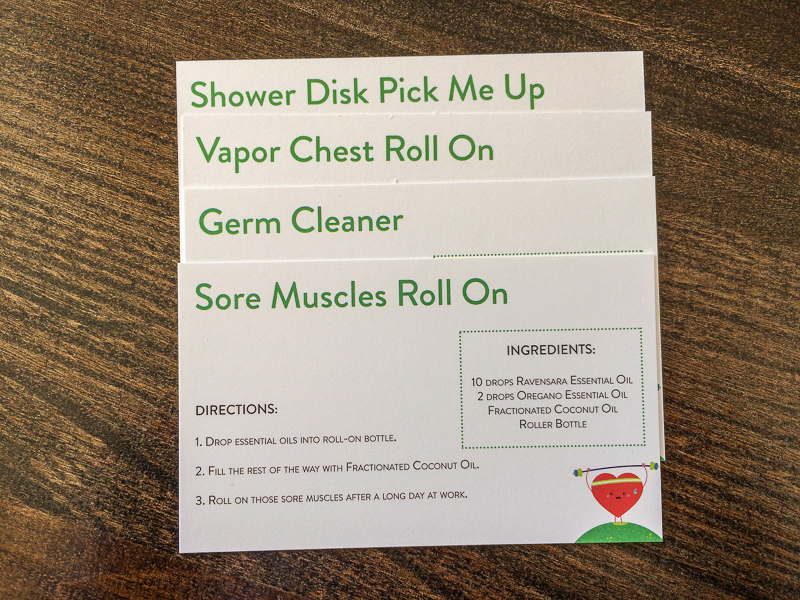 That’s my favorite part of the Essential Oil Recipe Box; learning about new oils and ways to put them to use in your everyday life. By the way, Ravensara has a woody herby smell and is a known expectorant, so it helps your body break up phlegm and get it out of your body. Nature really is amazing. 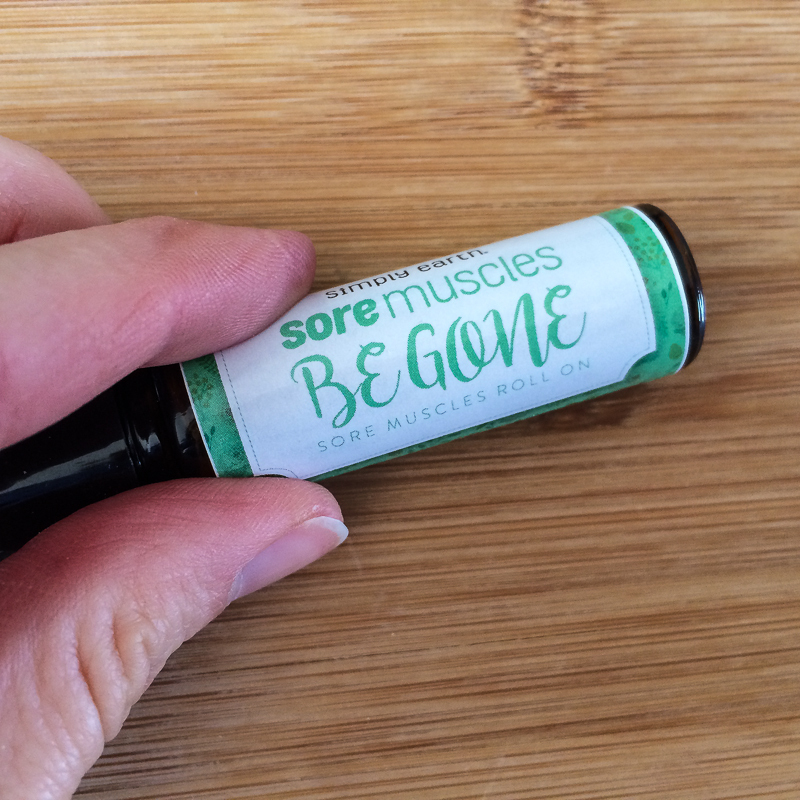 The Sore Muscle Roll On recipe is Ravensara and Oregano oils with fractionated coconut oil as the carrier. Did I mention the Essential Oil Recipe Box comes with the carrier oil as well as the containers for the recipes? It really comes with everything you need to make the six essential oil recipes. For $39/month, the Essential Oil Recipe box is a fantastic deal and a great way to learn more about essential oils. Use discount code THEWILDGUTFREE to get a $20 gift card emailed to you after subscribing (or gifting) your first box (SUBSCRIPTION CAN BE CANCELLED ANYTIME). Plus, you’ll receive a FREE BIG BONUS BOX containing a carrier oil, a hard oil (like shea butter), beeswax, and containers.